For club and intermediate players. Presents the current state of chess openings theory in each major chess opening and the main ideas and plans to follow in each of them. This course is illustrated by well-chosen master games, with instructive comments. 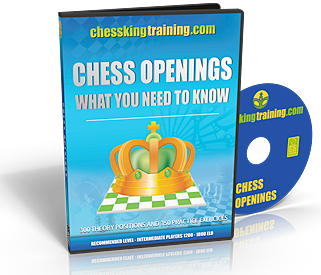 Going through all the lines and examples of your favorite openings, you will learn valuable knowledge on where to best place your pieces and your general chess level will be improved. The program includes 300 theoretical examples and 350 practical exercises according to opening. The practical exercises require to find series of best moves in the opening you select. You get plenty of feedback and opportunity to track your progress. Critical knowledge to increase your understanding of chess. You can choose the number of positions in the tests, as well as the material covered.